So What Is Embryos Adoption? she and/or her partner are infertile. she and/or her partner are concerned about a high risk of passing on genetic disorders to their potential offspring. she and/or her partner have had recurrent in vitro fertilization (IVF) failures. she and/or her partner are looking for an alternative to infertility treatments such as IVF or donor egg recipient IVF. Where Do the Embryos Come From? The formation of an embryo happens when a man’s sperm fertilizes the woman’s egg. When people go through fertility treatments and have leftover fertilized embryos, the embryos are frozen until the couple wants to retry. If the couple is no longer pursuing fertility treatments and doesn’t need the embryos, they may choose to place them for adoption for other couples. Since embryos are fertilized eggs, they are living beings, as life begins at conception. How Are the Embryos Adopted? The adoptive family may choose from three ways to find their embryos: an embryo adoption agency, a fertility clinic with an embryo donation program, or by self-matching with a donor. The family adopts the embryos, and then they are implanted into the adoptive mother’s uterus via a procedure similar to IVF. The baby is not usually biologically related to the adoptive parents. Embryo adoption allows the adoptive family to carry and give birth to their adoptive child. Like any adoption, there are incurred expenses in an embryonic adoption. Domestic and international adoption fees typically range from $18,000-$50,000. According to this article, fees associated with in vitro fertilization can range from $19,000-$33,000— depending on the number of the couple’s cycles. Comparatively, embryo adoption can be a lower cost option with typical fees ranging from $7,500-$19,000. According to this website, the adopting family will primarily pay the costs, and the donating family typically does not receive the payment for their donation. All of the IVF expenses and embryo storage costs, prior to the match, are covered by the donor family; however, the recipient family may need to pay for the storage fees after the match. Other expenses could be travel, legal, counseling, medical screenings, home study evaluations, matching services, embryo shipping, and frozen embryo transfer. There are many options for couples to consider when they are researching fertility treatments. Embryo adoption is just one of the many ways available to achieve the family dream. As previously stated, embryo adoption is less expensive than many other forms of adoption. It is a good option for couples who experience infertility, but who really want to go through pregnancy. 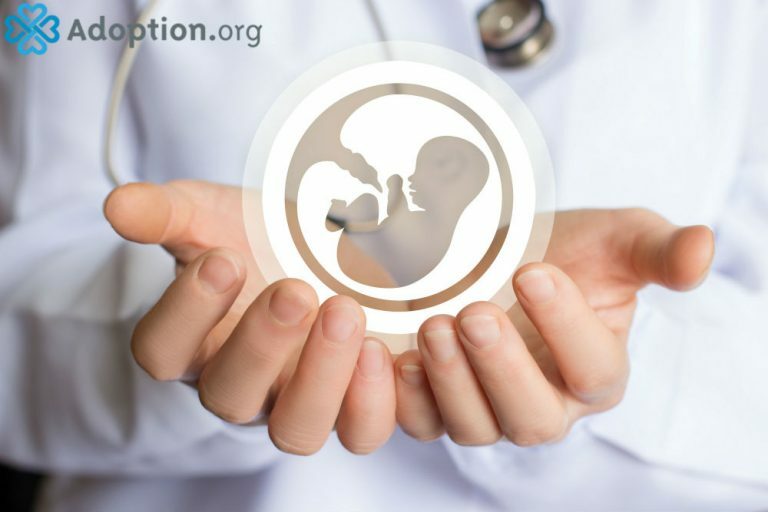 This form of adoption allows the adoptive parents the privilege to carry and give birth to their adoptive child, while maintaining control over the maternal health during the prenatal period, thus helping to ensure a safe and healthy pregnancy and creating a unique bond with the adoptive child. Since the embryo and the adoptive mother are not typically genetically related, embryo adoption is an acceptable choice for couples who may carry a genetic disease when they fearful of the issue being passed down to their biological children. Another reason for embryo adoption is that life begins at conception, and the frozen embryos are not just frozen tissue, they are potential human lives! If the embryos are never used by their biological families in IVF procedures or never adopted by adoptive parents, they will remain frozen. This organization estimates that there are over 500,000 frozen embryos in the U.S. If the embryos are never adopted, they never get the chance to grow into the tiny humans that were destined to become, and who knows, if that little life may grow to be the person to discover cures, create new inventions, and to change the world.